1845: RSBC was established the same year that the Southern Baptist Convention was founded. 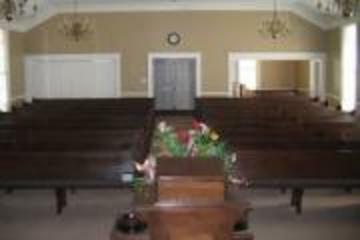 The seven charter members were Mr. and Mrs. Elijah Sparks, Mr. and Mrs. Ambrose Wise, Mr. and Mrs. Aaron Nolan, and Rev. R.F. Fancher. Moses Oakes and Billy White are also mentioned in some documents as charter members. Several of the present day members are descendants of one of these founders. 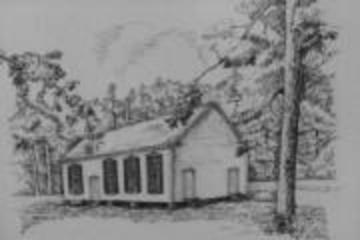 1884-85: The present church auditorium is constructed around the original weather-board structure (1850’s), which housed not only members and their families, but also slaves. The men sat on one side with the women and children on the other and the old men up front. 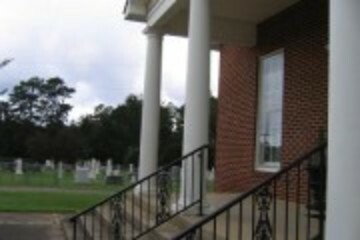 The pulpit was located at the intersection of the four parcels of land that compose the church grounds, with the fifth parcel holding the cemetery. 1886: 171 messengers from throughout the state met at RSBC for the Louisiana Baptist State Convention. The convention voted to start the first paper for Louisiana Baptists called the Baptist Chronicle, forerunner for the Baptist Message. At this convention women held their first separate meeting. This led to the formation of the Women’s Missionary Society at the Mr. Lebanon meeting the next year. 1940: The baptistry was installed. Before then baptisms were held in local ponds, such as the Aycock and Tooke’s. While filling this baptistery the parsonage was without water for several days. 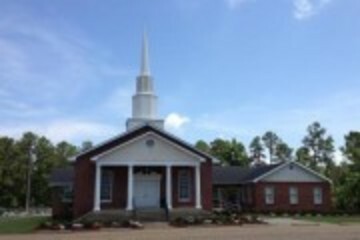 1945: RSBC 100th Anniversary was on October 14, 1945 – Devoe E. Byrd was pastor. Dr. W.L. Stagg, Jr., President of the Louisiana Baptist State Convention and one of the former pastors was principal speaker at the morning service celebration. The church had a membership of 241 at this time. 1952: The dedication service for the new educational building was held on June 15, 1952. J.E. Mason was pastor. 1966: The dedication service and open house for the new brick parsonage was held on November 6, 1966. Bentley Masingill was pastor. 1966: Mid-week Services at Presbyterian Village Nursing Home - Shortly after Presbyterian Village opened in May 1966, Bro. Bentley Masingill with Fred Sellers made arrangements for RSBC to have mid-week services every week. 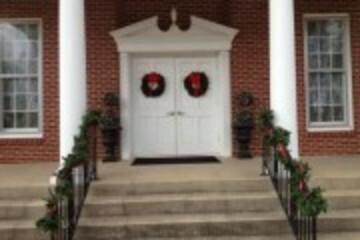 The first service was held the first Wednesday in December 1966. About 8 men assumed the responsibility for the services with music being an integral part. Many other churches are now a part of this ministry. 1970: RSBC 125th Anniversary was on RSBC Memorial Day, May 9, 1970. Pastor Bentley Masingill spoke on “What Mean these Stones”. 1973: The steeple was added to the church. Two members have been ordained as ministers by RSBC: They were Jerrell Moring in 1956 and Sid Young in 1973. 1995: The Sesquicentennial Celebration - Saturday, October 14, 1995, was a celebration of the past. 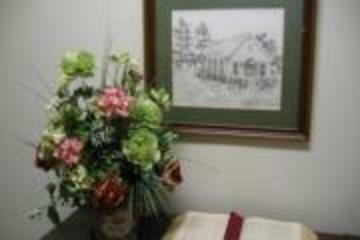 A reception was held in the fellowship hall. Memorabilia from all decades were displayed for all to view. The reception was followed by a worship service that honored the 5 former pastors who were present. They were Tommy and Anita Green (1953-55), Frank Walker (1955-57), Bentley and Bettie Masingill (1961-70), Lloyd and Dathene Brown (1971-79); Dayton and Anniebell Doughty (1979-1990). They shared their memories of RSBC. That evening at the Lisbon Civic Center a large crowd enjoyed the catered meal. Dr. Sid Young, pastor of First Baptist Church in Paris, TX, spoke of his growing up years at RSBC as well as his teachers at Lisbon High School. Dr. Young was ordained into the ministry by RSBC. - Sunday, October 15, 1995, was a day of worship that focused on the present and on the future. This was followed by dinner on the grounds with an overflow crowd as well as an abundance of food. Many committees functioned and all went exceptionally well. Over 200 people registered for the 2-day event. 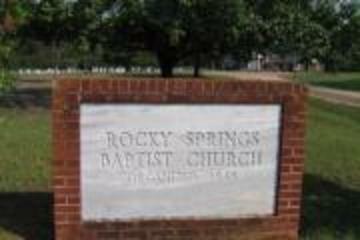 1992: A Future of Rocky Springs committee was formed in 1992 to study the needs of the church. The Building for the Future committee members were Joe Richardson (chairman), Tunis Gaston, Pat Gaston, James Scriber, Betty Williams, and Rusty Gilbert. Several small projects, such as a sound system for the auditorium, were completed. The two major projects were the Pavilion and the renovation and construction of the educational and fellowship space. 1997: The Pavilion was completed using funds from the Marion Aycock Pavilion Fund as well as additional funds that were given for both projects. Joel Aycock, architect from Acworth, GA was contracted to draw up the plans for the addition and renovation project. Joel is the grandson of the late Marion Aycock, who was a deacon for many years. Arrangements were made with a bank in Homer to have a 10 year loan for the needed amount. The dedication of the addition was October 5, 1997. 2003: A “note burning celebration was held after church on September 28, 2003. Within 6 years the note was paid off. God is good! This was the Sunday that Bro. Rusty Gilbert preached his last sermon as pastor of RSBC. 2004: The parsonage was completely renovated with new windows, new kitchen cabinets and appliances, new paint, new carpet, etc. 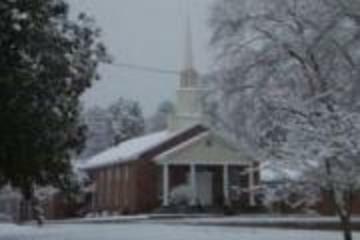 2005: A covered ramp was built at the back of the fellowship hall. 2005-06: The baptistery was remodeled. The original background painting (done in the 1940’s) was removed and a new painting was done by Judy Peterson Buckner, who is a local artist from Athens. After this was completed the auditorium and offices were completely refurbished with taupe and white paint, new carpet, etc. Protective glass was installed over the stained glass windows on the inside of the church. 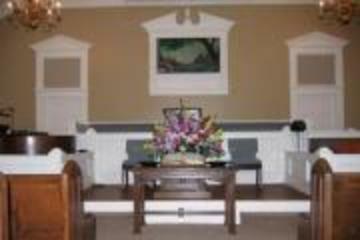 2007: The “new” educational and fellowship area was given a fresh coat of paint and new flooring. Church member, Doug Shurling was director and main worker for this project. 2010: A master bedroom and bathroom was added on to the parsonage. PRAYER / BIBLE STUDY & MISSION ACT.